A new lead for an old case sends a traumatised and somewhat unorthodox LAPD detective Erin Bell back to find the head honcho of a gang she infiltrated while undercover with an FBI colleague. As she works her way up the criminal foodchain, Erin is violently reacquainted with former colleagues and the personal and professional decisions she made in the past. 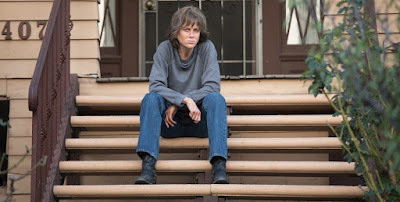 Nicole Kidman takes the lead in Destroyer and strikes a gritty and dishevelled pose as a detective who eschews social niceties and whose tired body can barely keep up with the wear and tear of the job. From early on in the movie, her bloodshot eyes suggest that they’ve witnessed traumatic events. It’s the complete opposite of Kidman’s glamorous role as Queen Atlanta in Aquaman. No one stands in the way of Bell’s fist-throwing, gun-toting persona and unlike most female action leads, Kidman takes a lot of blows and bruises in the frequent fight scenes. Theodore Shapiro’s disquieting music ups the tension with metallic strings while one dark scene of Russian roulette took me back to the 2005 black and white film 13 Tzameti (not the pointless 2010 remake). Jade Pettyjohn plays Bell’s wayward and headstrong daughter Shelby, a chip off the old block. Their fraught and angsty relationship plays well on screen as a sub-plot right up to the final serious mother/daughter chat that kills the pace of the movie. Phil Hay and Matt Manfredi’s screenplay weaves together flashbacks that fill in the backstory of Bell’s earlier work with partner Chris (Sebastian Stan) and reveals the vicious nature of gang boss Silas (Toby Kebbell) with whom she’s out to settle a score. Throughout the two-hour film, I’m left wondering why Bell’s partner allows her to work alone and accepts that she keeps him in the dark. It’s never explained and leaves a large hole in the credibility of the story. The twist in the latter stages of the tale is well executed and will set your brain racing through the earlier film to reassess what you thought you were seeing and believing. Kidman doesn’t shy away from the filthy lengths Bell will go to get information. Yet the storyline and pacing issues mean that the clever reveal, Kidman’s commitment to the script, the no-holds-barred brutality, along with the amazing makeup and prosthetics aren’t quite enough to deliver anywhere near the ambition of the premise. 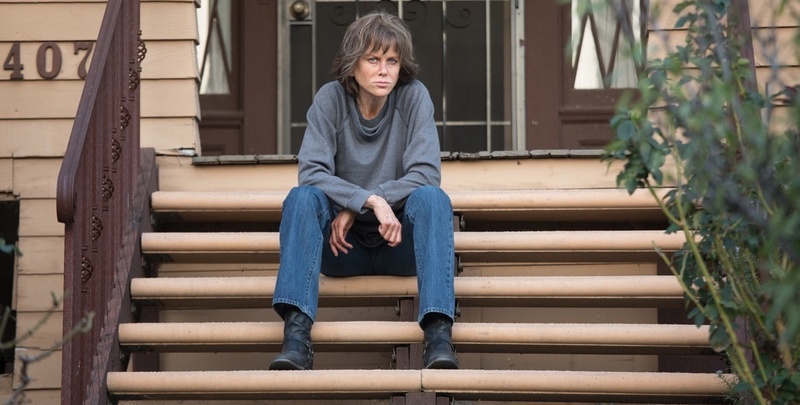 Destroyer is being screened in Queen’s Film Theatre, Movie House and Omniplex cinemas.